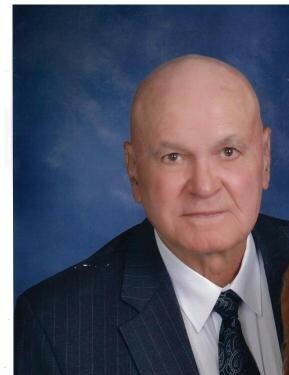 Mr. William (Bill) H. Gilder Jr., a longtime resident of Andalusia, Alabama, passed peacefully away on Monday, March 25, 2019, after an extended bout with Alzheimer’s Disease. Bill, as he was affectionately known, was born on December 29, 1934, in Wheeler County, Georgia to Etna (Causey) and William H. Gilder, Jr., the youngest of four children. He grew up on the family farm outside of Alamo, Georgia, and graduated high school at age 17. After proudly serving his country in the Army, Bill returned home to Georgia where he attended the University of Georgia and graduated with a degree in Forestry in 1962. His career with the U.S. Forest Service took him to Mount Dora, Florida where he met and married Beverly Phillips in 1964. Together, they had two children and eventually settled in Andalusia, Alabama, where they made their home for more than forty years. Bill retired from the U. S. Forest service in 1986 after 26 years of dedicated service. He built a lawn care business providing excellent service for the Andalusia community and surrounding areas for nearly 30 years. Gifted with an amazing work ethic, Bill worked hard until he was 80 years old. He and Beverly faithfully attended Cedar Grove Church of Christ where they were members for many years. Bill was blessed with a wonderful sense of humor and many talents including mechanics, cooking, and gardening. He was a loyal fan of the Georgia Bulldogs and Auburn Tigers. He loved his three grandchildren and enjoyed keeping golf carts, go-carts, and four wheelers running for their enjoyment. Bill was preceded in death by his parents, Etna and William H. Gilder, Sr., brothers, Jethro Gilder and Thad Gilder, and son-in-law, Ty Bush. Left to cherish his memories are his wife of 54 years, Beverly Gilder of Andalusia, daughter and son-in-law, Donna and Ben Plaster of Jupiter, Florida, son and daughter-in-law, Rick and Rinat Gilder of Evans, Georgia, granddaughter, Madisen Bush, grandsons, Michael and Logan Gilder, sister, Peggy Walker, and numerous nieces and nephews. The family will receive visitors from 5 p.m. to 7 p.m. Wednesday, March 27, 2019, at Keahey Funeral Home Chapel of Andalusia. Funeral services will be held 10:00 a.m. Thursday, March 28, 2019, at Cedar Grove Church of Christ. Burial following in the church cemetery. Special music will be provided by Sonya Grimes, Asked to serve as pallbearers: Kyle Thomasson, Alex Boldog, Mac Bracewell, Ben Plaster, Joe Bragg, and Derek Glidewell. Keahey Funeral Home of Andalusia has been entrusted with arrangements. The family would like to thank Comfort Hospice for the excellent care for the last several months as well of the many friends and family who have sent prayers, called, texts, and messaged your love and condolences. Please join us in remembering Mr. Gilder by visiting his memorial page at www.keaheyfuneralhome.com . We invite you to share your memories and words of comfort with his loved ones there.